The incidents took place yesterday at two different locations. Statues of Jesus and Mary were damaged in St Joseph’s Parish. The statue of the Virgin was found on the banks of a river. 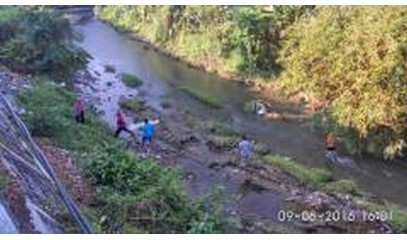 At the Marian shrine of Sendang Sriningsih, vandals destroyed a relief depicting the Via Crucis and hit a sculpture of Our Lady. 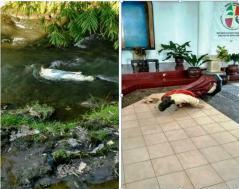 Jakarta (AsiaNews) - Two acts of vandalism committed by unknown people struck Catholic religious symbols yesterday. Around noon someone damaged the statues of Mary and Jesus in St Joseph’s Parish in Gondang, Kalten Regency (Central Java). Mary’s statue of Mary was removed from the main church building and was later found near the Webi River, which flows a few dozen meters from the parish. The sculpture representing Jesus had been thrown to the ground. Simultaneously, another attack hit the Sendang Sriningsih sanctuary in Jali Regency (Central Java). A relief depicting the Way of the Cross outside the church was found broken. 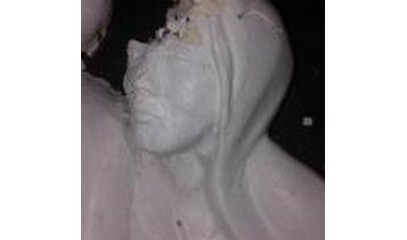 A statue of the Virgin was damaged to the head, perhaps by a hammer. Sendang Sriningsih is the second most important Marian shrine in Central Java, dubbed "Indonesia's Lourdes." Both state and Church authorities have not commented or provide reasons for the two acts of violence. No one has claimed responsibility for the vandalism. The last incident of this kind dates back to 2011, when the statue of Our Lady at the Marian shrine of Sendang Prawita Sinar was found headless. The cross had been moved and other angelic figures had been destroyed.